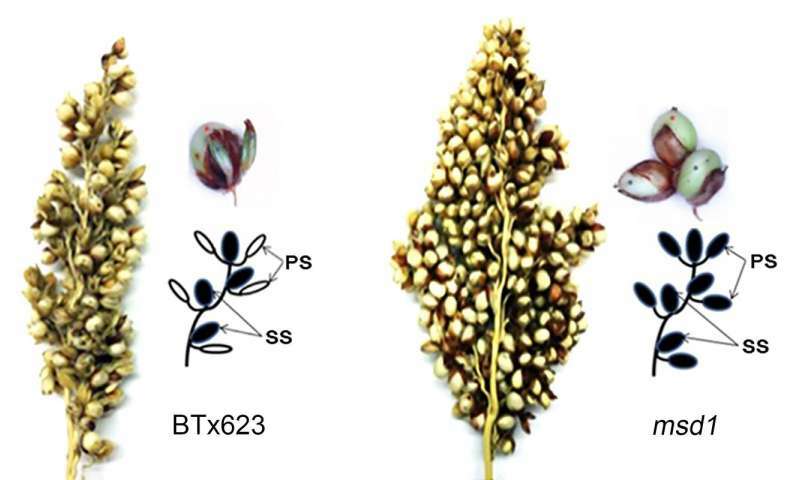 A simple genetic modification can triple the grain number of sorghum, a drought-tolerant plant that is an important source of food, animal feed, and biofuel in many parts of the world. 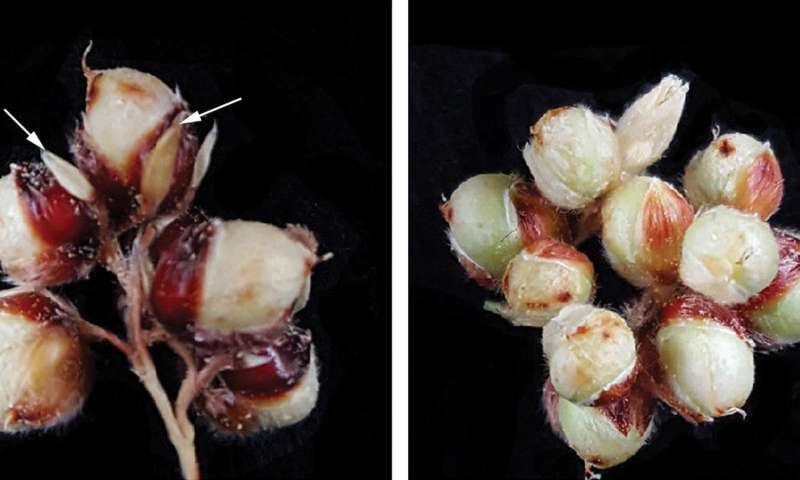 In new research reported today in Nature Communications, scientists at Cold Spring Harbor Laboratory (CSHL) have figured out how that genetic change boosts the plant's yield: by lowering the level of a key hormone, generating more flowers and more seeds. Their discovery points toward a strategy for significantly increasing the yield of other grain crops. Doreen Ware, Ph.D., a CSHL Adjunct Associate Professor and research scientist with USDA's Agricultural Research Service (ARS), led the research, together with ARS colleague Zhanguo Xin, Ph.D. Their study was focused on high-yield strains of sorghum that were generated several years ago by Dr. Xin. An unknown genetic mutation introduced by chemical mutagenesis - a method used for many decades by breeders and researchers to induce genetic variations in plants - resulted in an increase in the number of grains, i.e., seeds contained within fruits, that each plant produced.